Every small business or practice needs a set of tools to launch a successful marketing campaign. But searching for marketing tools that suit your needs can be a challenge. Sometimes these systems and applications are designed for larger enterprises, demonstrating that their cost can’t justify your ROI; and sometimes there are just too many tools to choose from, which can be overwhelming. So I’ve narrowed it down to a handful of easy-to-use (tried and tested) marketing tools that every business owner needs – or should at least try. One of the key secrets to success, which I live by, is preparation. Would you ever send a soldier onto a battlefield unarmed and unprotected? If you want to win the battle, most likely not. You need to be prepared and have your bases covered. Brainstorm, take notes and plan your marketing campaign for success. Keep your ideas and notes organized through Evernote. With the Basic and free version, you can sync 2 devices to share and discuss notes, and clip on web pages and images. Be better prepared and jot down your fleeting ideas so you can address them with your team later! This web-based online team management tool helps you organize team projects, tasks, and discussions. 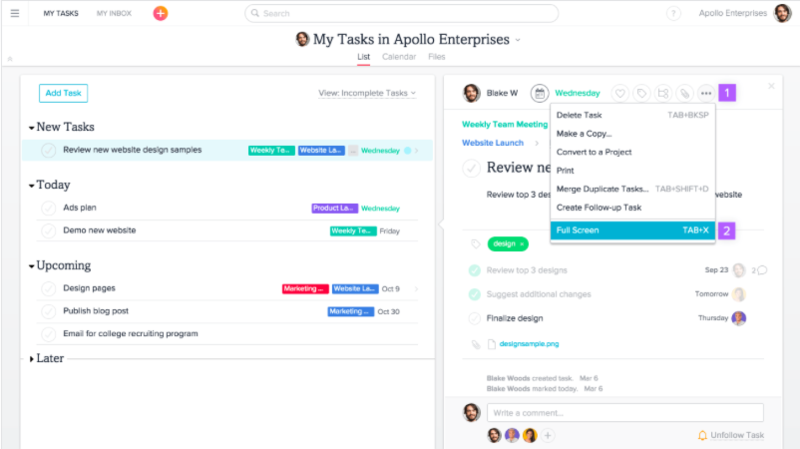 With Asana, your teamwork will be more efficient because everyone is “in-the-know,” and deadline and task confusion will be a thing of the past. Asana also integrates Dropbox, Google Chrome and Google Drive for the best user experience. You can get started with Asana for free which allows up to 15 members. Need to find a fresh idea? Or maybe you already have one and are looking for other trending topics to improve your own content. Buzzsumo can help you with all that and more. Buzzsumo’s simple and easy-to-use interface will aid content writers, marketers or business owners with content curation, analysis reports, and competitor comparisons. See what everyone else is talking about and how you can use that to your advantage. Spellcheck is great, but what if you had a program that also pointed out grammar mistakes and made alternative suggestions? With Grammarly, you don’t have to guess the difference between “effect” and “affect,” or whether you should put a comma after a word. This free browser extension works on Facebook, Twitter, LinkedIn, Gmail, and Tumblr. So you can use it for your social posts as well as your website or blog content. Everypost makes it easy to curate visual content from a variety of sources, customize and schedule posts, and take greater control over your social pages. It’s an all-in-one publishing solution that is a simple and convenient way to share multimedia content across multiple platforms like Facebook, Twitter, Google+, Linkedin, Pinterest, and Tumblr. 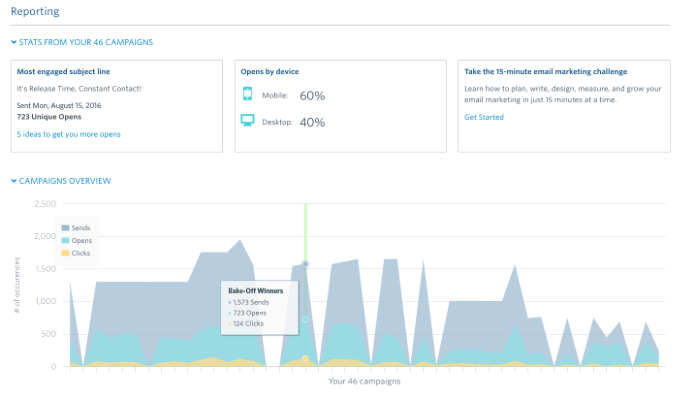 Buffer allows your marketing team to share content specifically at the best possible times throughout the day in order to drive more traffic and increase fan engagement. Schedule, publish and analyze all your posts in one place with his top marketing tool. Constant Contact is an email automation system that has built “Complete Email” to deliver a “do-it-for-me” marketing service in a way that makes sense for small businesses. Complete Email matches you with a Master Certified Marketing Expert who will handle all your email marketing – so you can get big results with little effort. Get your message in front of more people and track your success in real-time! With small business marketing automation, you can build relationships and engage your audience with personalized, automated follow-up sequences that help you market smarter, not harder. Capture more leads, improve conversion rates, master e-commerce, manage your sales process and ultimately save more time with Infusionsoft. Another very important aspect of your business or practice and your marketing efforts are images and visuals. You need to engage your audience by keying-in on visual content that appeals to them. 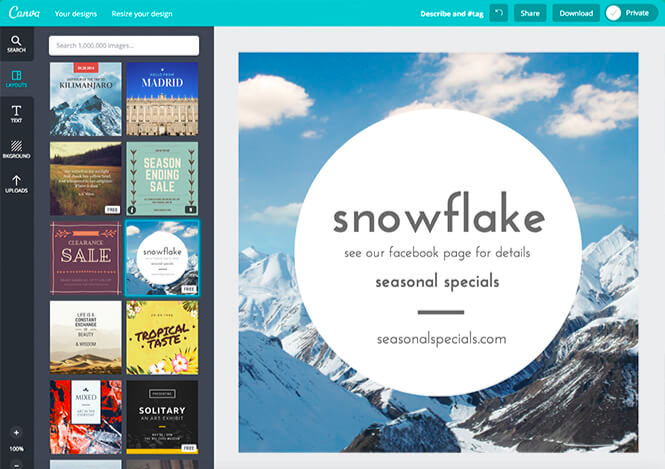 Canva is a free and easy-to-use online design program that allows you to create documents, presentations, social media graphics and more with thousands of beautiful preset layouts and features. If you need something, clean, sharp and polished, Canva is a wonderful that caters to your needs. PicMonkey offers a handful more of photo editing tools that Canva does not offer, but it does not have preset layouts for simple plug-in tasks. Regardless this is still a great graphic design tool to use for some of your marketing needs. Click here for a basic pro and con list between the two graphic tools. At the end of the day, you might not use all these top marketing tools. But we’ve tried and tested them, and they work great for some of our purposes. If anything, I hope that this opens the doors to all the marketing resources that are available to you. There are a lot of great programs, systems, and applications at your disposal, you just have to find the right one that works for you.